This blog post - PART TWO - is direct off the Straits Times page, but these same tips and article can be found on the F1 website. The Singapore Grand Prix returns for its fourth edition on Sept 25. But the 'race weekend' officially starts from Friday, Sept 23, and we continue with the next 10 tips after our feature in Part 1. 11. Supersized food and beverage options. Indulge in wine and dine options available from 59 outlets across the Circuit Park. On the menu is international cuisine from America, Australia, India, Italy, Middle East, Persia, Singapore and much more. At the Hawker Village in Zone 4, dine under the canopy of trees at Connaught Drive. Expect delicacies from outlets including Shiraz, Al Dente, Barossa, Go India Express, Peach Garden, The Mexican, Quiznos, Kazbar and Go-Go Franks. Need your local food fix? An array of Singapore-style seafood dishes will also be available in Zone 1. Race fans can sample local specialities such as barbecued seafood and chilli crab claw served with deep-fried buns from Tung Lok. Okay, stop drooling over your computer or touchscreen device as you read this. 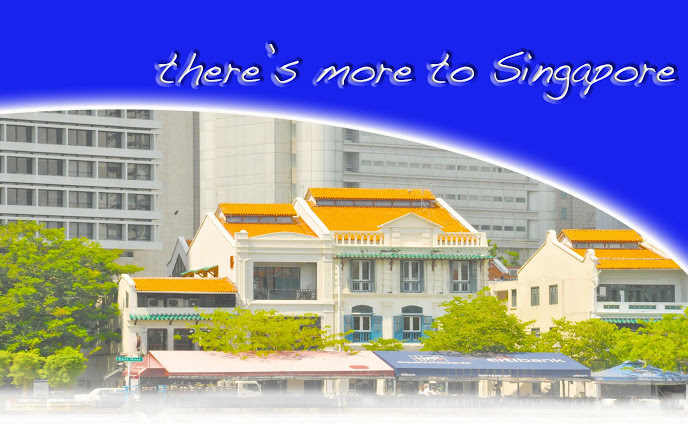 Another new addition for this year is the Singapore Street Food @ Bay located under the Bay Grandstand. Patrons can savour Kampong mee siam, shrimp paste chicken, vadai and more from Kriston Food & Beverage. Do note that most outlets accept cash payments only. 12. Re-entering the circuit park. 13. Free rides on the Singapore Flyer (exclusive to Zone 1 patrons). Get an unparalleled bird's eye view of the Marina Bay Street Circuit from 165m above the ground with a free ride up the Singapore Flyer. Unlimited rides are valid for all Zone 1 and Premier Walkabout ticketholders. There will be dedicated express lanes open to Formula One Paddock Club and hospitality suite patrons. 14. Business as usual for stakeholders in the vicinity. Retailers at the Esplanade located within the Circuit Park will carry on business on usual. The food outlets located at the Singapore Flyer including Popeyes, Ya Kun Kaya Toast and the hawker-style Singapore Food Trail, will also be open to ticket holders. Businesses at malls located right outside the Marina Bay Street Circuit like Marina Square and Suntec City will also not be affected, allowing you to continue shopping and dining at your favourite malls before entering the Circuit Park. Last year, over 82,800 glasses of beer were served to the hospitality guests alone. 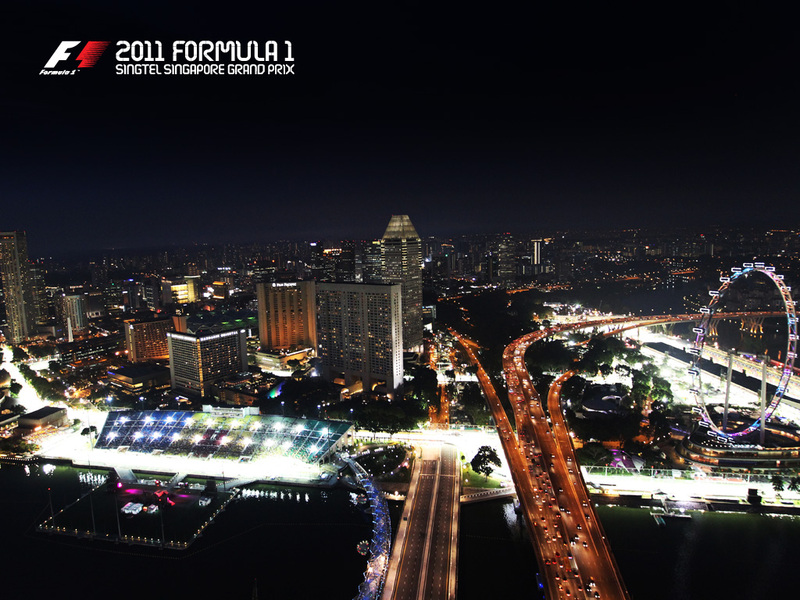 For 2011, Singapore GP has upped the ante by introducing new concept bars throughout the Circuit Park. Tiger Beer will deliver an unforgettable experience with their newly introduced 'Bartainer' and a unique brewery tavern bar. Also available elsewhere are two Margarita Bars, six Grid Bars and the Coates & Ice Cold beer bar that has become a popular feature in Zone 1. I don't know about you but reading this part, has already made me thirsty. 16. Bring a piece of Formula One home. Formula One team memorabilia will be available for sale at the F1 Village (Zone 1 and Zone 4). There are also merchandise booths that dot the circuit park where exclusive official merchandise will also be sold. Outside the Circuit Park, merchandise will also be available for sale at selected World of Sports outlets and the Podium Motorsport outlet at the Fairmont Hotel atrium. Do visit Singapore GP's website for the full list of retailers (link at the top left corner of this Big Story section). New for 2011, selected parts of the track will be open for ticket holders to access after the final track activity until 11.30pm on Friday and Saturday, and until 12.00am on Sunday. This is to enable spectators to experience the Marina Bay Street Circuit up close and to provide Zone 1 with an alternate route to catch the entertainment acts at the Padang stage in Zone 4. The quickest way to the Padang would be to walk on the track in front of the Bay Grandstand through a temporary/controlled opening at Turn 20, past the Esplanade Outdoor Theatre and the Esplanade Park. You wouldn't want to go home without capturing memories of the world's only Formula One night race and the larger than life art work around the circuit park. For starters, there's the spectacular recreation of 10 planets as high as five metres, which will be illuminated in Zone 1. Also not to be missed are the life-size driver cut-outs placed around the Circuit Park where you can have some fun posing and taking photos with. There are also performances throughout the circuit park by artistes like Rick Astley, Boy George and Shaggy (sure to draw the retro crowd), mesmerising roving artistes and thrilling race action throughout the weekend. To add to the festival atmosphere, there will be several displays of fireworks. Bay Grandstand ticket holders will be treated to a pyrotechnics display at the end of each Ocean Symphony performance at the floating platform on Friday (Sept 23) and Saturday. 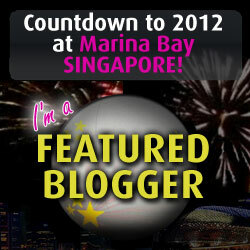 On Sunday (Sept 25), be sure to eye the Marina Bay skyline as there will be a spectacular fireworks display after the race. Look out for the tattoo tents at the Padang and Zone 1 and get inked by our team of temporary air-brush tattoo artists. There are several race-themed temporary tattoos to choose from, and best of all, they're free for ticket holders. Do check out Brian Olsen's amazing technique of painting iconic personalities using up to six brushes at a time, over at the Marina Stage in Zone 1. Returning spectator Greg Lynas advises avid shutterbugs to 'use the practice and qualifying sessions to get up close to the barricades in Zone 4 for some good photos - best when the cars aren't going top speed. And take ear plugs for when you're not listening to the commentary.'. And for F1 newbies attending, they should not think that their iPod-type headphones can double up as ear plugs against the noise. enjoy your weekend whatever you do or wherever you go!